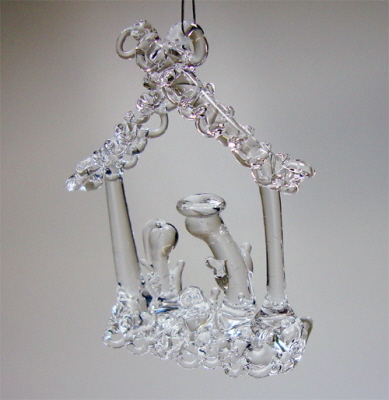 A small clear glass nativity scene decoration . Hangs with a loop of silver thread . Measures 4cm wide x 6cm high .